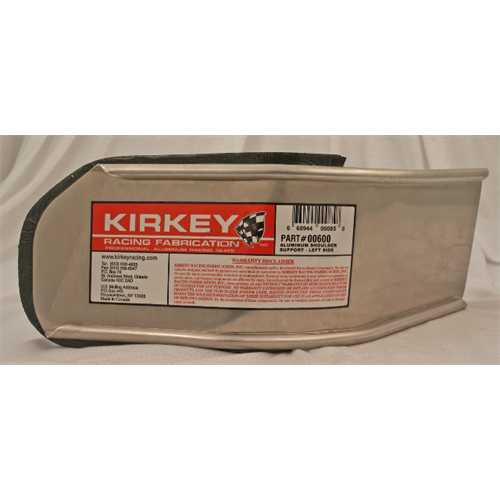 You can customize any standard non containment KIRKEY seat by bolting on this Shoulder Support. This can be easily installed on any non containment KIRKEY seat and make it even safer and more comfortable. This increases side support to the shoulder under heavy cornering and especially in case of a side impact. This side support is made out of the same grade of aluminum as the seat and can be ordered in any of the standard fabrics and colors listed with each seat. Cover sold separately. Substitute the last two numbers in the support part number with the appropriate fabric & color number.